The Directory of the Ministry is a guide to congregations, agencies, and personnel choosing to be identified with a fellowship presently known as Christian Churches and Churches of Christ and historically referred to as the "Restoration Movement" led in its earliest American expressions by Thomas Campbell, Alexander Campbell, Barton W. Stone, and Walter Scott, among others. Congregations in this fellowship have generally chosen not to be identified with the denomination corporately known as The Christian Church (Disciples of Christ) and have chosen not to make the use of musical instruments in church meetings a test of fellowship. 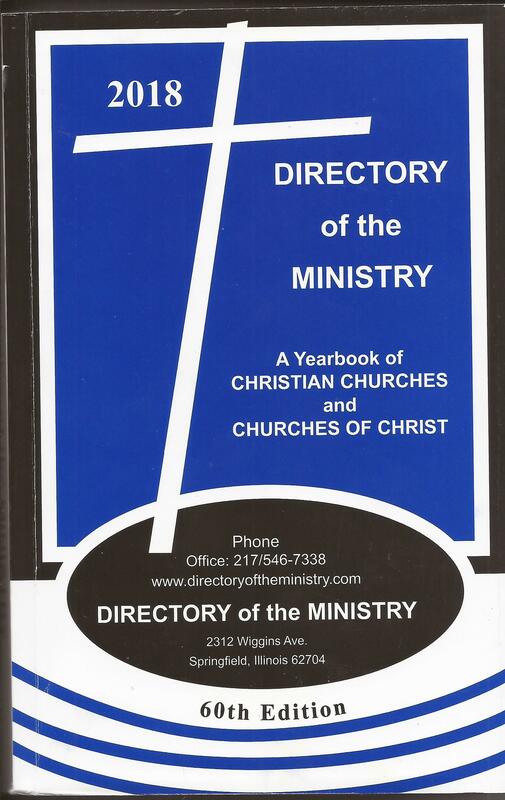 The Directory of the Ministry has been published annually since 1963.